Have you ever heard someone say, "I hate history. I'm never going to use all those names and dates in real life," or, "History is just memorizing stuff dead people have done. It has no relevance to our lives." As someone who thoroughly enjoys history and has made a point to study it in college (decisively declaring a history major) and in spar time, I'm usually quick to respond to such criticisms by quoting Edmund Birke's observation that, "Those who don't learn from history are doomed to repeat it." While I still agree that this is true, a practical example being Obama's insistence on perpetuating failed Keynesian economic theory (i.e. if he objectively studied FDR he'd know better), there is much more at stake then merely repeating mistakes. Firstly, Christians must concede that the Bible itself is important. I think that goes without saying. Of course, any one who's read the Bible knows that the book is primarily historical. It is the account of redemptive history from creation onward. Some Christians like to envelope all events into the category of "H-I-S-S-T-O-R-Y," and while I may not laugh that much at the cheesy word manipulation, I do concede that this is a valid view. Just think about it. If God is sovereign, and if everything ultimately finds its fulfillment in God's glorification, including the wicked (whose evil contrasts to God's goodness and serves to prove God's justice) then everything which has ever happened is worthy of study because it's ultimately an aspect of Theology (which of course encompasses everything). In a more specific way, God gave the Israelite's memory enhancers (i.e. Passover, monuments, etc.) by which they were to recall the works of the Lord. When children would ask about customs and landmarks, their parents were charged with the responsibility of communicating certain events which gave meaning to national identity (perhaps parents should still be the ones responsible for teaching history irrespective of what the public school's say). All civilizations needs a history by which to give stability to society. A common heritage (especially one which rallies around God) will shape modern values, as they did in Israel. It's when their history was forgotten that they strayed from God. I'm worried that students will take their obedient place in society and look to become successful cogs in the wheel - let the wheel spin them around as it wants without taking a look at what they're doing. I'm concerned that students not become passive acceptors of the official doctrine that's handed down to them from the White House, the media, textbooks, teachers and preachers. Most of his opponents I'm sure share the same concern, only directed at Zinn's own influence. 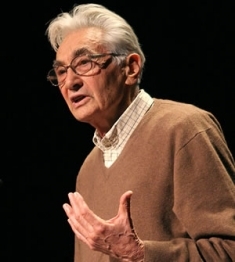 Zinn's purpose in writing "People's History" was to set up a "quiet revolution." Not a revolution in the classical sense of a seizure of power, but rather from people beginning to take power from within the institutions. In the workplace, the workers would take power to control the conditions of their lives. If that sounds like class warfare, that's because it is. All the books in the "People's History" series are written from the supposed perspective of the "common people." Rather than focusing on famous public figures everything is seen from the viewpoint of the poorest elements of society. Zinn's books show the rich and/or influential to be the scoundrels of culture, while the poor, especially non-Western "noble savages" are morally upright. While there are instances where influential people do horrendous things (duh), it does not follow that it is their default. Christians understand that man (whether rich or poor) is prone to selfish behaviour. Making distinctions for the purpose of causing resentment is historical misuse of the worst kind. Eric Foner (an admirer of Zinn) has done the same thing. I remember studying his book "Give Me Liberty! : An American History" in college. Curiously, I couldn't seem to find one American president with a noble track record (Lincoln and LBJ may have been exceptions). The Ku Klux Klan represented mainstream "white" America and the Vietnam War was lost from the start. The South (Bible Belt) consistently was pinned with all that represented bigotry and backwardness from slavery to creationism. The "rich" "white" founders "rebelled" to lace their pockets with gold, and Columbus massacred the Native Americans. Of course I'm only briefly offering the tip of the iceberg to communicate how outlandish the broad strokes really are. If they don't sound like misrepresentations then perhaps you've already succumbed to historical revisionism. I've been subject to the same things, and am still relearning all I can to unwind my fallacious presuppositions. Within this past week I've had the privilege of reading The South Under Siege by Frank Conner and The Politically Incorrect Guide to the Sixties by Jonathan Leaf. It's truly amazing to me how duped I've been by what passes as "common knowledge" these days. I've literally believed propaganda aimed at dismantling the stability elements within society (a strategical tenet of Gramsci Marxism). "Siege" outlines the concerted effort to undermine Christianity and Western Civilization through systematically discrediting the Southern United States. From the Transcendentalists to the Warren Court, the vast majority of the inroads made by secular humanism have been perpetuated by attacking false stereotypes of America's Bible Belt. "Guide" dismantles the false perceptions most of the population has about those "crazy" sixties, exposing the radical communist affiliated elements which actually influenced the 70s, while proving that the 60s were in fact conservative (both morally and economically). I'm planning on highlighting the specific elements in future posts, but for now, suffice it say, history has been wielded as a weapon. When we believe lies about our past we think about our present differently, and our future changes. We harbor lies that lead to catastrophic results. Let me give you a recent real life example. A couple months ago I was sitting outside the door of a physical education class at a community college I use to go to. My brother attends there currently, and I was waiting for the gym to open. As I was reading a book, I couldn't help but overhear the professor in a health class. Let me emphasize that- It was a HEALTH class. Anyway, the professor, who looked to be a shorter Caucasian man in his late 50s with white hair to match his lab coat, was talking about how hospitals use to be primarily owned by religious denominations (which is 100% true...before government regulation killed them). Instead of continuing his speech on hospitals however, he changed direction to talk about how evil protestant hospitals were in their refusal to treat Catholics. I was shocked. A student in the class questioned, "Are you serious?" with a chuckle. The professor replied, "Oh yeah. Protestants hate Catholics, Jews, and Blacks." I felt like bursting into the classroom and shouting "Are you out of your mind!" He continued. "Back in the day all the protestants were in the Ku Klux Klan. My wife's uncle was in it! Oh yeah, especially the Southern evangelicals who especially hated the Jews and Blacks." Never mind the fact that the Klan's membership was higher in the North during the 20th century (the 19th century Klan was an entirely different organization devoted to self defense and reconstruction resistance), that a huge hunk of Protestantism includes Blacks, and that no examples were cited to support the claim that Protestants refused treatment to Catholics. Now what do you think those students went around thinking about Protestants? As a former leader in the Campus Christian Fellowship something clicked. No wonder campus evangelism was so difficult. How do you gain a hearing with someone who automatically thinks you're a bigot. I could give many more examples, but you get the point. Our view of history shapes our worldview more than perhaps anything else. History is the grand experimental lab by which philosophies are tested, cause and effects play out, and truths are contrasted with lies. An accurate representation glorifies the tenets of Christianity, proving that God's designs work, and man's utterly fail. History is important. Not only are we doomed to repeat its errors if it's not properly understood, but we neglect an important aspect of apologetics and concede its vital understanding to God's enemies. It's a weapon that must be wielded with accuracy so we can give an answer to every man that asks.
. . . then our bias should lean in that direction. This doesn't mean we distort facts or ignore crucial points, it simply means that we teach what is accurate AND IMPORTANT. The "important" part will come from our view of the world. What will cause children to share in their cultural identification taking into considering its past mistakes and its triumphs? Will, teaching ancient Chinese history foster cultural identification for Americans (to the neglect of American history)? Certainly not! But teaching American History will. What will cause students to affirm God's truth? Accurately relaying the pitfalls (as outlined in history) of those who contradicted God's truth, and trumpeting the achievements of those who took it into account. I could go on, but you get the point. The points stressed should fit within the goals of why the information is being learned in the first place. I believe the four points above are the basic goals we should have.